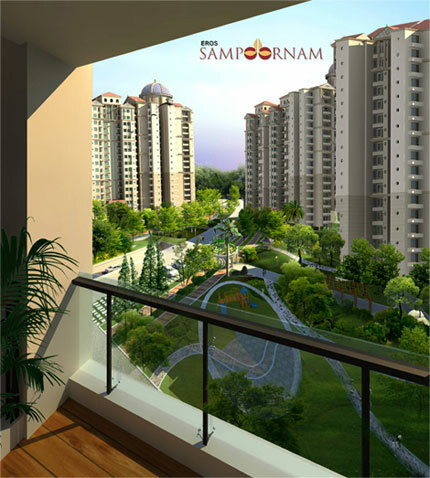 Sampoornam is spread over an area of 25 acres and is situated on 130M eight lane wide road. It will have approx. 3400 units. The project will be constructed in four different phases. With their first & second phase, the project will have approx 1700 units and is expected to complete in 36 months. This project will have large and lush green landscapes with modern architecture. The project is surrounded by 100M and 60 M wide huge green belt on the both sides. The project comprises of 2 and 3 BHK apartments ranging from 835 sqft. to 1800 sqft. Place for Out Door games. 15 min drive to Noida City Centre. 15 min drive to NH 24. 15 min drive to Fortis hospital. 30 min drive to Greater Noida. 30 min drive to Delhi.